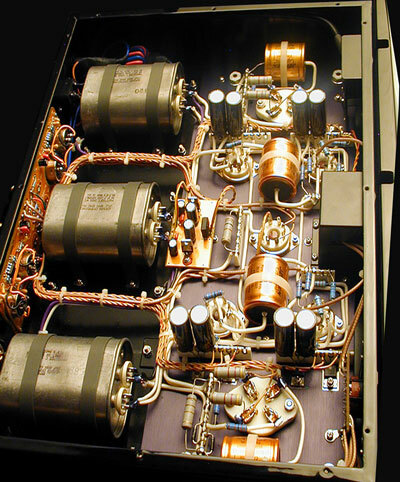 The two major differences between the all-tube Melody Hi Fi gear and the all-solid-state/digital Channel Islands were in the areas of definition and authority. Definition went to the Melody components. Even though they are all tube, I could hear distinctly the minutest details of passages. 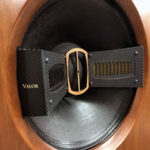 Mr. Wang indicated that the unique design of the P1688 preamp incorporates a 101 tube for stabilizing the voltage, and a 5AR4 tube for rectifying current, which is supposed to bring a clean, detailed, airy sound. That is a very good description of the strengths of the P1688. There were times when complex passages became a bit congested with the Channel Islands combo. However, as for sheer dynamic punch, the Channel Island amps had an edge on the S88’s. This should not be too disconcerting; the CI amps also equaled the authority of the Dussun V8i, a mighty strong solid-state amp. As mentioned above, if you do not intend to drive planars, you will likely never push the S88’s to their limits. The S88’s wrought wonderful sound regardless of the preamps used with them. I tried the Channel Islands passive preamp, as well as a new little number from Eastern Electric BBA which is technically a buffer amp but can be used as a preamp. 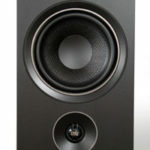 The S88’s were strong, clear and forgiving on the ears with any preamp I paired with them. 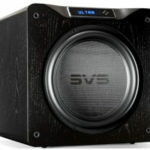 They exhibited somewhat more of that “air” and expansiveness with the P1688 but in no way sounded anemic with solid-state preamps and dynamic speakers. I did not find noise to be an issue with the S88’s. They were extremely quiet and never flinched at dynamic passages at higher listening levels. 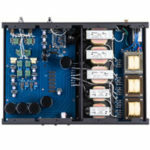 It needs to be noted (for readers who read reviews but not instructions) that caution is to be exercised in mating the P1688 with solid-state amplification, as the manual states, “…the DC output of the P1688 Signature may exceed the DC protection circuitry in your power amplifier.” Discuss any potential mates with your counselor (dealer). There are a couple of perplexing things about the P1688 which I experienced relating to listening level, chiefly the lack of remote. I am addicted to remotes, and I find it a minor annoyance to rise every time I want to change listening levels. Granted, I change levels occasionally since I may be writing, reading or sometimes conversing as I listen, sometimes even adjusting volume between tracks (as if there is some preordained level at which each piece must be heard!). There will be those who won’t give the P1688 a second glance because of this omission, which would be a shame since its sound is superb. Mr. Wang’s design philosophy is to make the signal path as simple as possible in pursuit of the ultimate sound. Anything that would interfere with the sound quality is rejected from the circuit. The purist approach taken in eliminating the remote yields rewards in the sound, but at times it’s frustrating it must be sacrificed. I would counsel an individual to be honest about their remote control usage habits as they consider purchase. This preamp is best suited for the listener who has the time and temperament to put on a disc or album, set the level and leave it. In such instances the owner will be highly rewarded. The Signature uses a high quality attenuator, the DACT CT-2, but it is slightly problematic for me. The issue is not sonically-related. If it’s not contributing to the sound, it is working right. It is the stepped attenuator, and I mean stepped! Especially when the P1688 is operating with the high gain outputs, the steps seem enormous. The increase in gain are large, more than I would like. This contributes to a remoteless-control problem. I found that it was challenging to set the preamp at an agreeable low level or an acceptable higher level when desired. Thankfully, there are two sets of outputs, “low gain” and “high gain”, which help to address the issue, though not completely. One cannot stop on the detents of the attenuator as the music may cut oof one channel momentarily and a slight noise may be introduced. As this was the case with the 1st and 2nd review samples, I must conclude that this is a design anomaly. Will it affect the sound as one listens when levels are set? No, but this deserves attention from Melody Valve, the manufacturer. If one is moving to the Melody equipment from solid-state, the stock tubes manufactured by Shuguang for Melody Valve will be acceptable. Unable to control my urge to tweak, I snatched a spare RCA Mullard 5AR4 and popped it into the P1688, making the presentation sweeter with a plumping of the low-end. If you are constantly running from the high-end and can’t stand the bite of the treble, try the Mullard. Gary Lamb’s solo piano on “Full Circle” from the Watching the Night Fall disc was more involving with the Mullard. The instrument sounded full-bodied as opposed to merely hammers upon strings. And as always, there was that crystal-pool-like reflectivity in the echoes of the music. Daryl Stuermer’s cover of “Turn It On Again” from Another Side of Genesis sizzled with speed, the delicacy and intensity of the guitar maintaining perfect hint of edginess to the lead guitar. Such effects on electric guitar played on inferior equipment make me want to run for the hills, or at least excuse myself to go to the bathroom. But the p1688 won’t let you go that quickly! It cuts to the soul of the sound without being edgy on the ears. I can understand the excitement in Asia over the Melody line of components. The P1688 and S88 acquit themselves admirably in presenting She Hi Wang’s no-nonsense approach to audio. Those who don’t fiddle around with controls every song, who want crystal-clear presentation and a tube sound that pleases at a pauper’s price needs to consider them. Mingus, the importer of the Melody equipment, told me that in China and Taiwan an audiophile is known as a “Friend of Fever” – burning with desire. I would like to thank Melody Hi Fi for bringing to America such lovely-sounding equipment and helping American audiophiles to burn with fever for audio! Where might I obtain a manual for my S88s? Thank you. Perhaps you could start by contacting Angel City Audio.